This morning was wreathed in the smoke of bonfires and tang of spent gunpowder, the sun was bright and there was a nice thick frost on the ground. The perfect day for spending the day in the kitchen; a day for baking, roasting and generally making a bit of a mess. The kind of day where you use every single kitchen utensil, every single one. Including the zester and that apple corer thingy. I was trying out a few things that I hadn't done before. 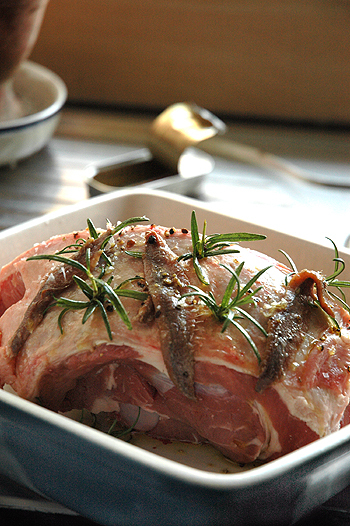 Cooking the lamb with anchovies on the advice of Hugh Fearnley-Whittingstall. Works well, give it a go. 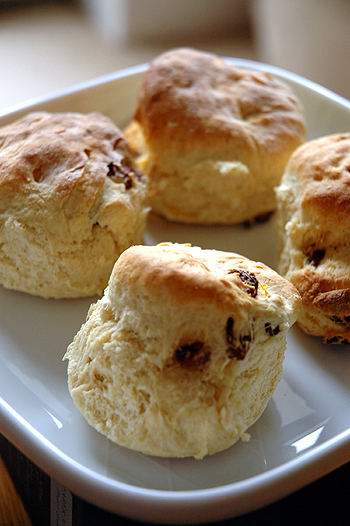 The scones were simple, orange zest, stunning warm with clotted cream and black cherry jam. The apple and honey cake was my attempt to recreate a cake that I had eaten in Tuscany, wasn't quite there, the ends dried out a little too much, but, the middle bit was a winner. Perfect Sunday really. That and Virgin Classic Rock on the radio. Sweet. The lamb is the same as I ate one time in Greece, and was telling my wife about just yesterday. Good timing! Did you have a recipe for the apple and honey cake? it looks delicious. Now THAT is a good way to spend a Sunday! 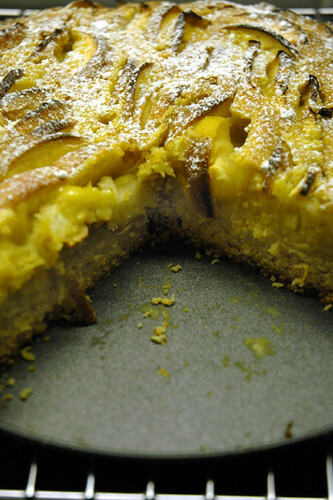 i've got to second chrisb - where did you find the recipe for the apple & honey cake? it looks delish. New reader here. I love how you evoke the best moments -- not the grandest or fanciest ones, but the moments that everyone secretly (and not so secretly) covets. The listening to radio, watching a football game, kicking back with a plate of good food. Beautiful, thanks.